"Damiat" redirects here. For the Bulgarian wine grape also known as Damiat, see Dimiat. Damietta (Arabic: دمياط‎ Dumyāṭ , IPA: [domˈjɑːtˤ]; Coptic: ⲧⲁⲙⲓⲁϯ) also known as Damiata, or Domyat, is a port and the capital of the Damietta Governorate in Egypt, a former bishopric and present multiple Catholic titular see. It is located at the Damietta branch, an eastern distributary of the Nile, 15 kilometres (9.3 mi) from the Mediterranean Sea, about 200 kilometres (120 mi) north of Cairo. the Old Bridge, Maeini Mosque Entrance, Damietta Cornich, Maeini Mosque Dome, Fishing in Damietta. Damietta's Corniche along the Nile. Amr Ibn Al-a'as Mosque (Al-Fateh). Capture of Damietta by Frisian crusaders. A 1911 postcard, titled The City of Damietta on the Nile. In Ancient Egypt, the city was known as Tamiat (Coptic: ⲧⲁⲙⲓⲁϯ), but in the Hellenistic period it was called Tamiathis (Greek Ταμίαθις). Mentioned by the 6th-century geographer Stephanus Byzantius, the town later became known as Damiata and as Damietta, which probably derived from an ancient Egyptian word "Damt" that means the ability, since Damietta had the ability to combine the salt water of the Mediterranean Sea and the fresh water of the Nile in one place. Other historians note that the city was called "Tam Heet" which means the city of the water or the city of the running water. Another derivation of the name might be "Tam Hēt", meaning city of North (Coptic: ⲡϯⲙⲉ ϧⲏⲧ). Under Caliph Omar (579–644), the Arabs took the town and successfully resisted the attempts by the Byzantine Empire to recover it, especially in 739, 821, 921 and 968. The Abbasids used Alexandria, Damietta, Aden and Siraf as entry ports to India and the Tang Empire of China. Damietta was an important naval base during the Abbasid, Tulunid and Fatimid periods. This led to several attacks by the Byzantine Empire, most notably the sack and destruction of the city in May 853. Damietta was again important in the 12th and 13th centuries during the time of the Crusades. In 1169, a fleet from the Kingdom of Jerusalem, with support from the Byzantine Empire, attacked the port, but it was defeated by Saladin. During preparations for the Fifth Crusade in 1217, it was decided that Damietta should be the focus of attack. Control of Damietta meant control of the Nile, and from there the crusaders believed they would be able to conquer Egypt. From Egypt they could then attack Palestine and recapture Jerusalem. When the port was besieged and occupied by Frisian crusaders in 1219, Francis of Assisi arrived to peaceably negotiate with the Muslim ruler. The siege devastated the population of Damietta. In October 1218 reinforcements arrived including the Papal Legate Pelagius with the English earls Ranulf of Chester, Saer of Winchester and William Aubigny of Arundel, together with Odonel Aubigny, Robert Fitzwalter, John Lacy of Chester, William Harcourt and Oliver, the illegitimate son of King John. In 1221 the Crusaders attempted to march to Cairo, but were destroyed by the combination of nature and Muslim defences. Damietta was also the object of the Seventh Crusade, led by Louis IX of France. His fleet arrived there in 1249 and quickly captured the fort, which he refused to hand over to the nominal king of Jerusalem, to whom it had been promised during the Fifth Crusade. However, having been taken prisoner with his army in April 1250, Louis was obliged to surrender Damietta as ransom. Hearing that Louis was preparing a new crusade, the Mamluk Sultan Baibars, in view of the importance of the town to the Crusaders, destroyed it in 1251 and rebuilt it with stronger fortifications a few kilometres from the river in the early 1260s, making the mouth of the Nile at Damietta impassable for ships. Hellenistic Tamiathis became a Christian bishopric, a suffragan of the Metropolitan see of Pelusium, the capital of the Roman province of Augustamnica Prima, to which Tamiathis belonged. Its bishop Heraclius took part in the Council of Ephesus in 431. Helpidius was a signatory of the decree of Patriarch Gennadius of Constantinople against simony in 459. Bassus was at the Second Council of Constantinople (553). In a letter from Patriarch Michael I of Alexandria read at the Photian Council of Constantinople (879), mention is made of Zacharias of Tamiathis, who had attended a synod that Michael had convened in support of Photius. Later bishops too of Tamiathis are named in other documents. In 1249, when Louis IX of France captured the town, it became for a short time the seat of a Latin Church bishop. The Latin bishopric, no longer residential, is today listed by the Catholic Church twice as a titular see under the names Tamiathis (Latin) and Damiata (Curiate Italian), each at time of episcopal or archiepiscopal]] rank, of the Latin and Melkite Catholic Churches, for the Catholic Church, having been until the early 20th century an important centre for that church. Damietta is very famous for its furniture industry. In addition to the Egyptian market, its furniture is sold in Arab countries, Africa, Europe, US, and almost all over the world. 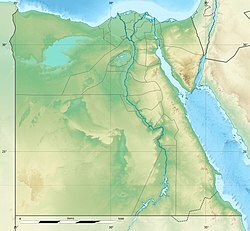 Today, there is a canal connecting it to the Nile, which has made it an important port once again. Containers are transported through the new Damietta Port. The Damietta governorate has a population of about 1,093,580 (2006). It contains the SEGAS LNG (Liquefied Natural Gas) plant, which will ultimately have a capacity of 9.6 million ton/year through two trains. The plant is owned by Segas, a joint venture of the Spanish utility Unión Fenosa (40%), Italian oil company Eni (40%) and the Egyptian companies EGAS and EGPC (10% each). The plant is unusual since it is not supplied from a dedicated field, but is supplied with gas from the Egyptian grid. As of 2010[update], EMethanex, the Egyptian division of Methanex Corporation, a Canadian owned company, was building a 3600 MTPD methanol plant. Damietta also has a notable furniture and woodworking industries and is also noted for its White Domiati cheese and other dairy products and Pâtisserie and Egyptian desserts. It is also a fishing port. Amr Ibn Al-a'as Mosque (Al-Fateh), the second mosque to be built in Egypt and Africa by the Arabs after entering Egypt. It has been converted to a church twice during occupation by the crusaders and Louis IX of France's son John Tristan, Count of Valois was baptized by a legate of the Pope in this mosque. Al-Bahr Mosque, dating to the Ottoman rule era. Al-Hadidy Mosque in Faraskour, 200 years old. Al-Maainy Mosque, dating to the reign of Al-Naser Mohammed Ibn Qalawon. Al-Matbuly Mosque, dating to the Mamluk era. Al-Radwaniya Mosque, dating to the Mamluk era. The Old Bridge Elkobri Elqadeem, dating to the early 20th century. Souk Al-Hesba, the old town centre, dating to the Abbasi rule era. Mohammed Hassan El-Zayyat, former minister of foreign affairs. Farag Foda, secular writer shot to death in his office on 8 June 1992 by two Islamic fundamentalists from the Al-Gama'a al-Islamiyya group. Port Said, Kosseir, Ras El Bar, Baltim, Damietta and Alexandria have the least temperature variation in Egypt. Caphutkia ancient name of Damietta in Aramaic & Jewish literature. ^ Smith, Sir William (1857). Dictionary of Greek and Roman geography. Little, Brown and Co. p. 1086. Retrieved 30 May 2012. ^ "The city of Damietta". Ask Aladdin. Retrieved 23 August 2017. ^ Donkin, Robin A (2003). Between East and West: The Moluccas and the Traffic in Spices Up to the Arrival of Europeans. Diane Publishing Company. ISBN 0-87169-248-1. ^ Dillon, Charles Raymond (30 April 2005). Templar Knights And the Crusades. iUniverse. p. 39. ISBN 978-0-595-34946-3. Retrieved 30 May 2012. ^ Claster, Jill N. (1 October 2009). Sacred Violence: The European Crusades to the Middle East, 1095-1396. University of Toronto Press. p. 181. ISBN 978-1-4426-0060-7. Retrieved 30 May 2012. ^ Bradbury, Jim (1992). The Medieval Siege. Boydell Press. p. 197. ISBN 978-0-85115-357-5. Retrieved 30 May 2012. ^ Armstrong, Regis J.; Hellmann, J. A. Wayne; Short, William J. (1 April 2000). Francis of Assisi: Early Documents. New City Press. p. 265. ISBN 978-1-56548-112-1. Retrieved 30 May 2012. ^ Vauchez, André; Dobson, Richard Barrie; Lapidge, Michael (2000). Encyclopedia of the Middle Ages. Editions du Cerf. p. 392. ISBN 978-1-57958-282-1. Retrieved 30 May 2012. ^ Russell, William (1837). The History of Modern Europe: with an Account of the Decline and Fall of the Roman Empire: And a View of the Progress of Society from the Rise of the Modern Kingdoms to the Peace of Paris, in 1763; in a Series of Letters from a Nobleman to His Son. Longman, Rees, & Company. p. 280. Retrieved 30 May 2012. ^ Houtsma, M. Th (31 December 1987). E.J. Brill's First Encyclopaedia of Islam, 1913-1936. BRILL. p. 911. ISBN 978-90-04-08265-6. Retrieved 30 May 2012. ^ MEED. Economic East Economic Digest, Limited. April 2008. p. 187. Retrieved 30 May 2012. ^ The Petroleum Economist. Petroleum Press Bureau. 2008. p. 20. Retrieved 30 May 2012. ^ "Halayeb". eArabic Market. Retrieved 17 December 2016. ^ "Islamic Medical Manuscripts: Bio-Bibliographies - B, C, and D". nih.gov. ^ "Climate: Dumiat - Climate graph, Temperature graph, Climate table". climate-data.org. Retrieved 13 August 2013. Wikimedia Commons has media related to Damietta.